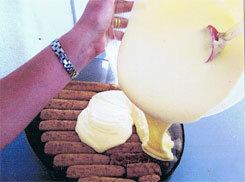 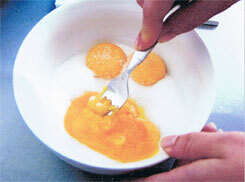 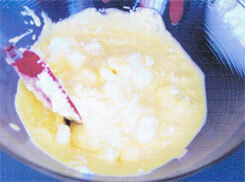 Mix yolks and sugar crushing them witha fork until well blent, then add Mascarpone and continue stirring vigorously. 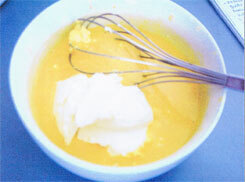 Whisk egg whites until stiff with electric mixer and fold in mixture mixing gently until a rich cream is formed and add liquor. 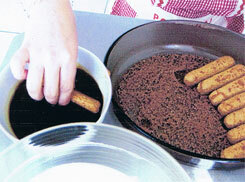 Sprinkle some powdered chocolate in glass pan. 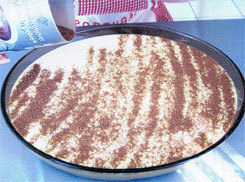 Dip each sweet finger in coffee, organize them tightly in one layer and then pour mixture on top. 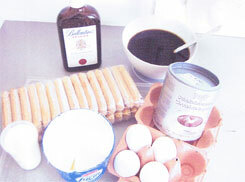 Cover completely with powdered chocolate, refrigerate and eat the following day.